Sacramento’s taste of Taiwan | AYAH! Start the new year with a resolution to try something new, support a local business and get your taste buds out of their comfort zone. 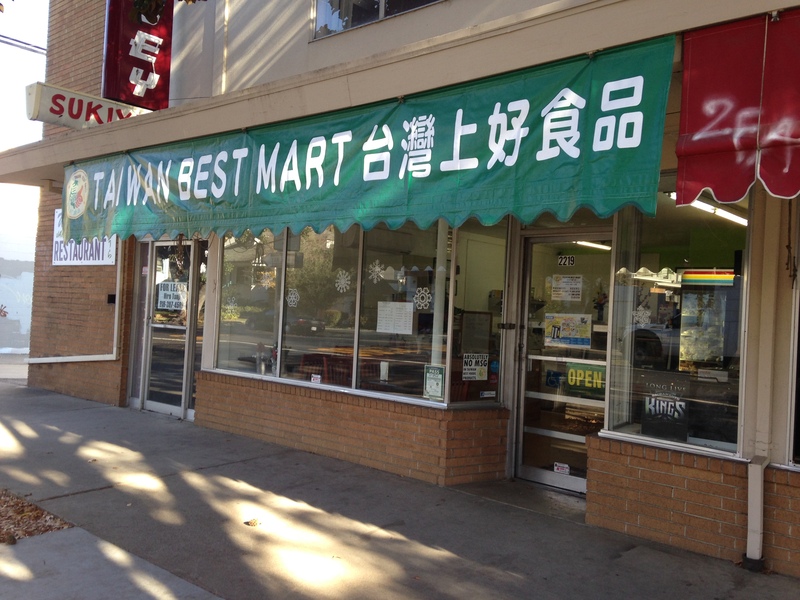 Here’s a good start: Taiwan Best Mart on 10th and W streets in Sacramento. 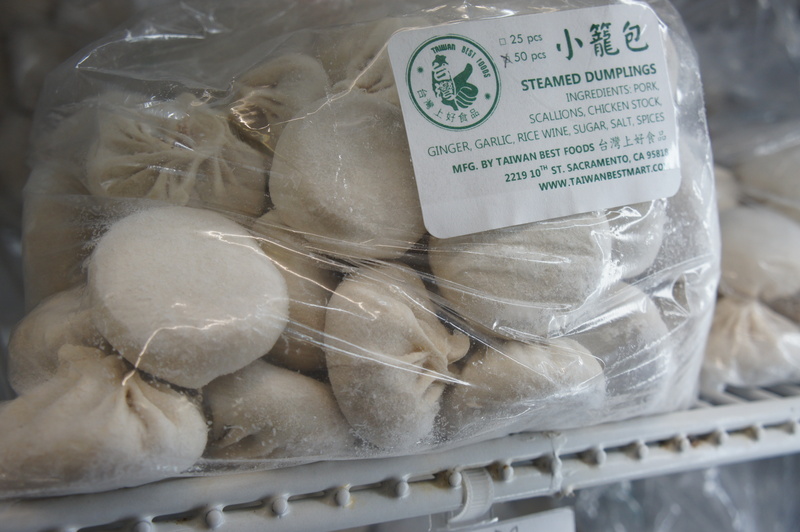 It’s not only the best Taiwanese market in the city, it’s the only one, and you don’t need any other. Get ready to dive in for a taste of culture, tradition and history. 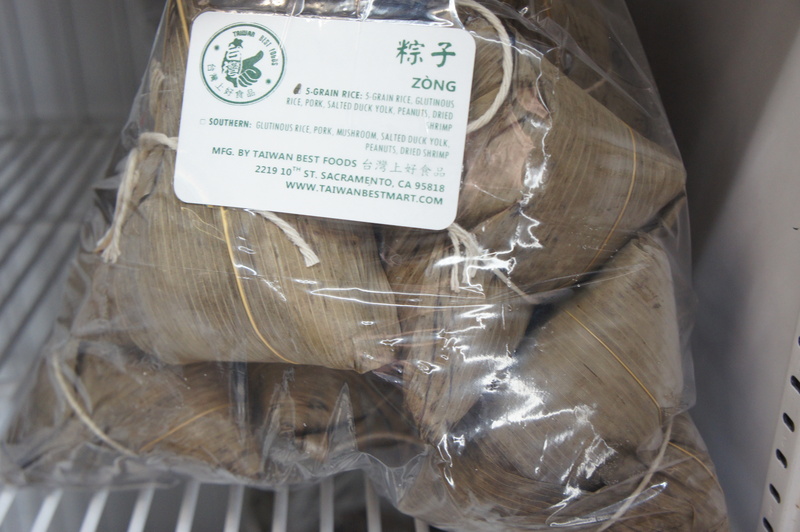 This family-run business has such unique offerings to Asian cuisine in Sacramento, it might as well be on its own secluded island, like its namesake. As I write this, I’m struggling to define what Taiwan is. It’s not officially a country, or a nation, but a state in East Asia. It’s formally known as the Republic of China, not apart of China, but not separated from the mainland either. Taiwan has it’s own separate government, traditions, food, language and culture. And there’s a burgeoning independence movement in the country — for a people searching for a name to call their own. “It’s not Chinese. It’s not Japanese. It’s not Korean. It’s Taiwanese. We have our own identity. Our food is very different and we put a lot of love into making all our food,” said Christine Chang, manager at Taiwan Best Mart. I asked Christine to define Taiwanese food — what’s it like for someone who’s never tasted it? “It’s kinda like Chinese food, but it’s sweeter and uses a lot more seafood,” she said. 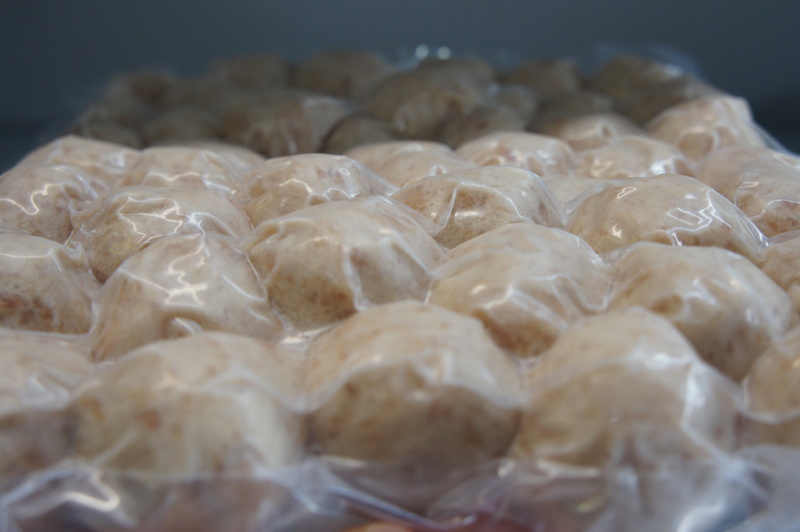 Taiwanese food is unique because it’s a culmination of many different influences from mainland China, Japan, Korea and even Portugal. You may recognize some of these familiar dishes that originated from Taiwan; stinky tofu, beef noodle soup, and Boba (as in boba tea). 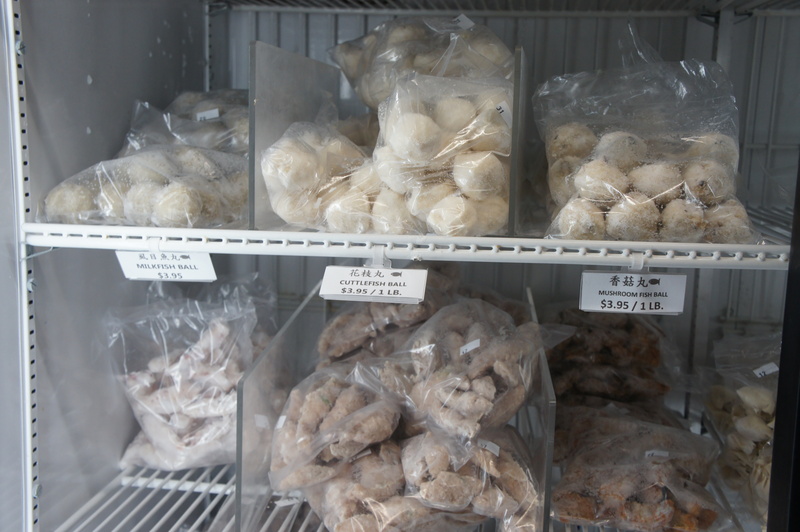 In the frozen section — there are fish balls, meat balls, dumplings, traditional Taiwanese Zong, and even a menu of hot food. 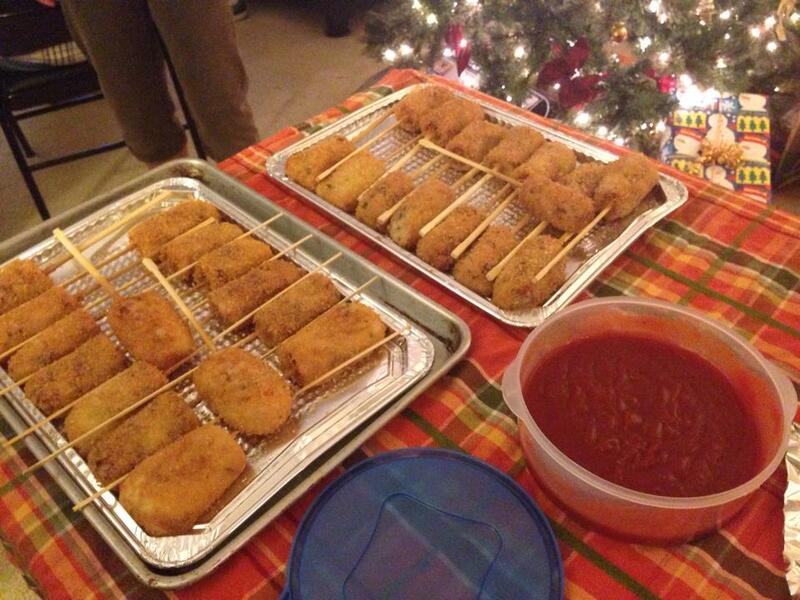 “I make it so it kind of sounds familiar,” said Christine. On the menu: a “Taiwanese burger”, which I found out is not a burger at all, but is a fluffy white bun, stuffed with braised pork belly, pickled mustard greens and peanut powder. But what the shop is best known for, is its sausages. Meet the master behind them: Luke Chang, Christine’s dad. Luke is a Taiwan native and cooking is in his genes; his father made sausages for a living in Taiwan, and his mother made buns. He moved his family to the U.S. in 1988, and so began the universal immigrant experience of trying to make it in America. 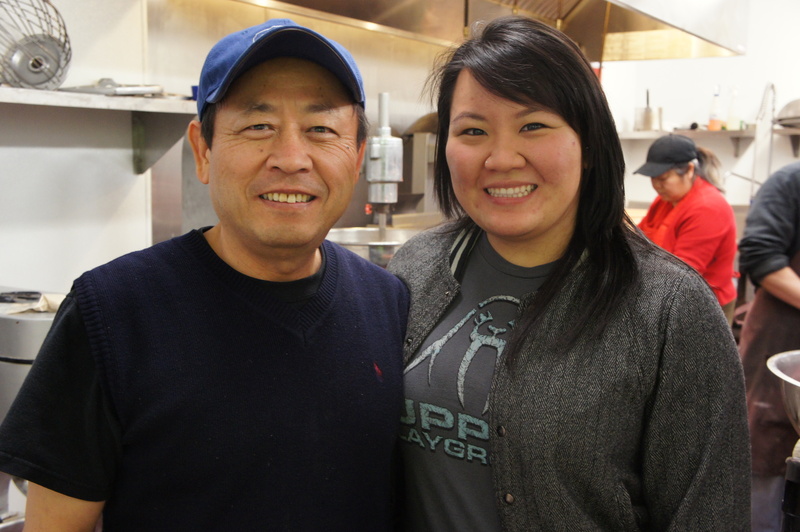 In 2002, Luke and his daughter started their small operation in their home kitchen and garage, his first client being a Taiwanese store in Cupertino. Word of mouth spread and they expanded, servicing more restaurants in the Bay Area, soon growing out of their small space. The family made-do with this home operation for 6 years before finally being able to move into this Sacramento store. It’s made a huge difference. 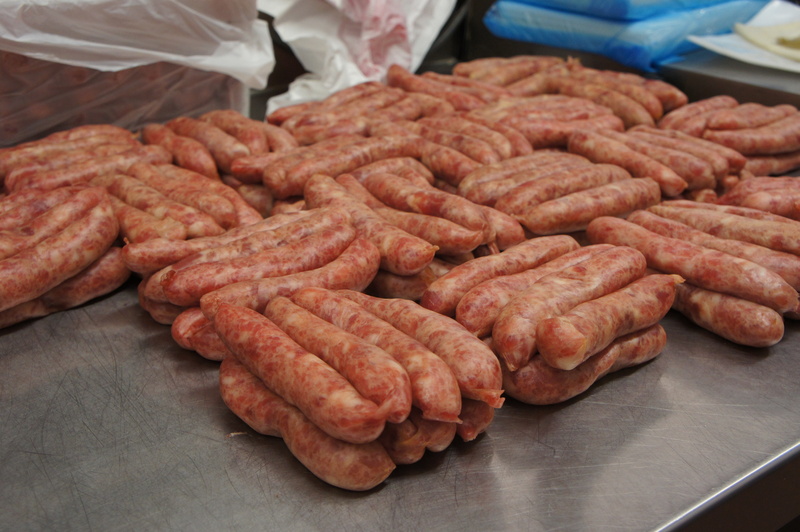 Now, they have a small assembly-line and commercial-grade equipment to churn out sausages and meat balls, as well as the means sell it on a bigger platform. 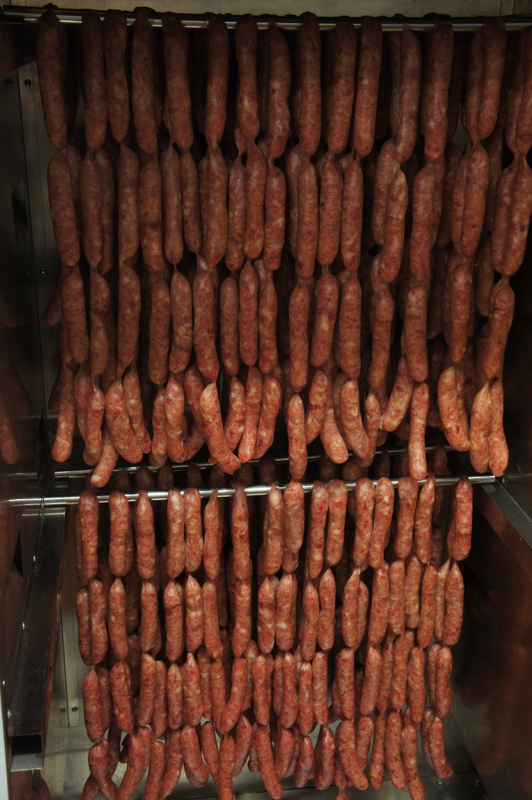 So, what’s it take to make fresh sausages now? 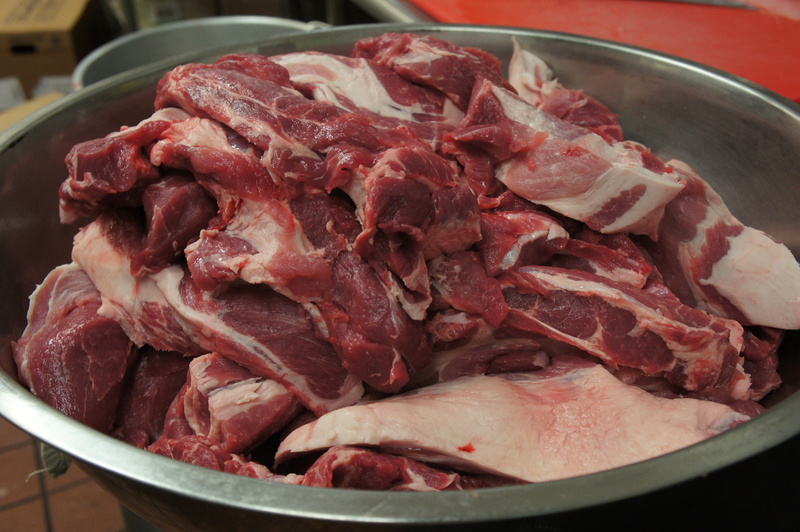 The Changs use only fresh pork; run it through the meat grinder, add authentic Taiwanese spices, and let it marinate overnight. 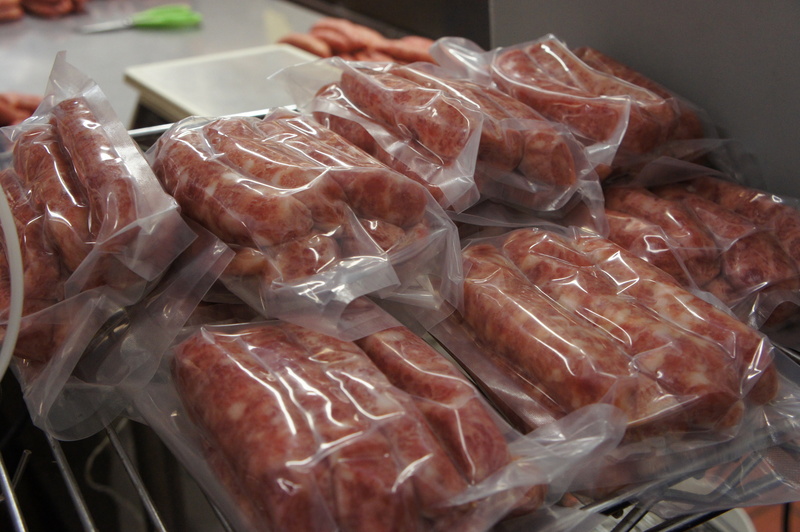 The next day; the sausages are stuffed into natural hog casing, left to hang and dry, packaged up and delivered to restaurants, or sold at the store. 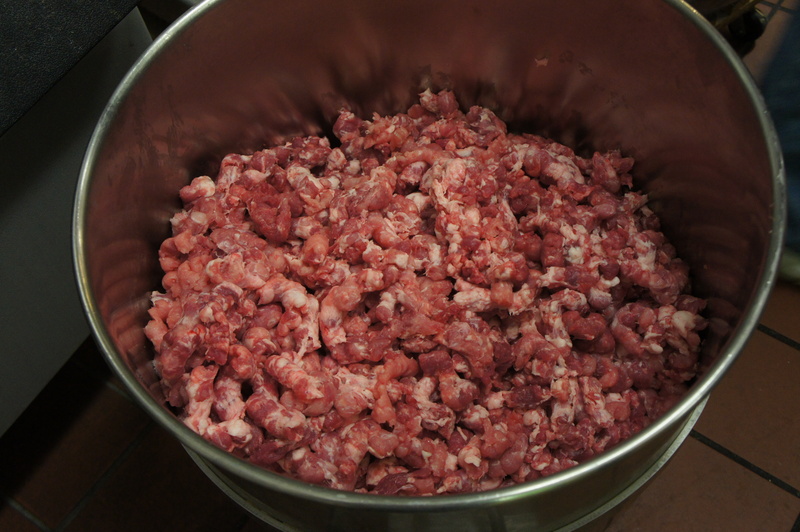 This is unlike most sausages where you don’t know where the meat is coming from, or even all the components that make up the “meat”. 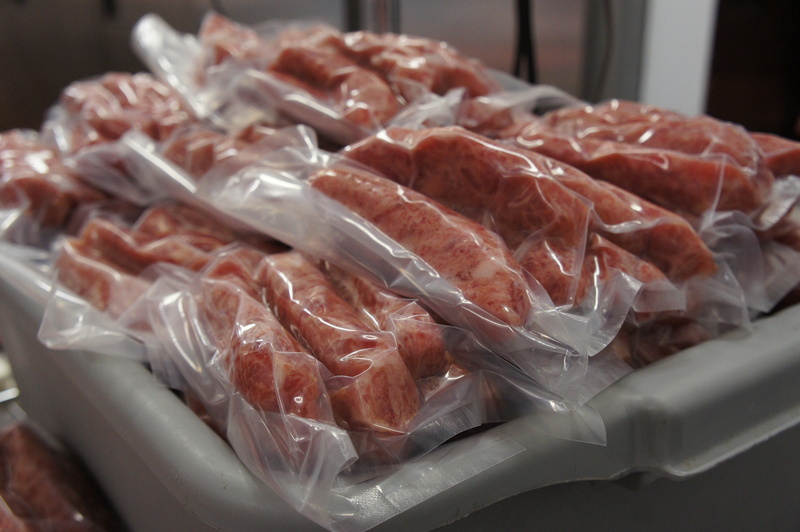 After watching the process, believe this pescatarian when I say — these are the cleanest sausages I’ve ever seen. 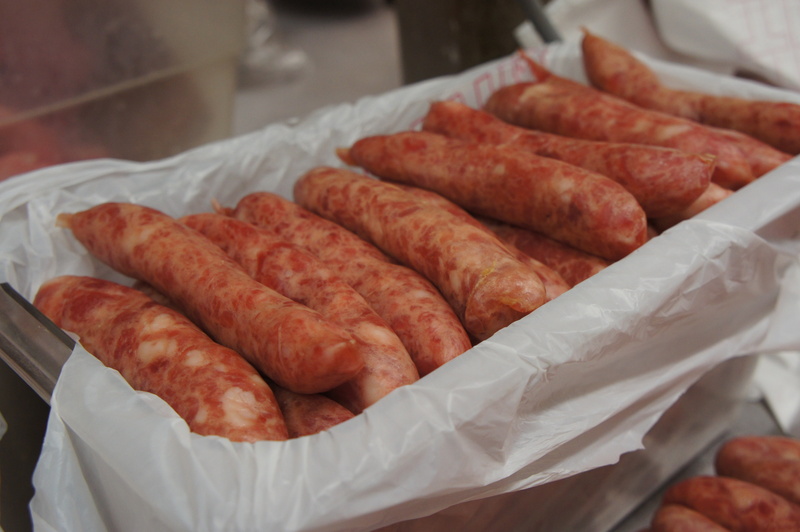 I am told, the sausages taste similar to the ubiquitous Chinese-style Lap Xuong, that you may have seen packaged in stores. 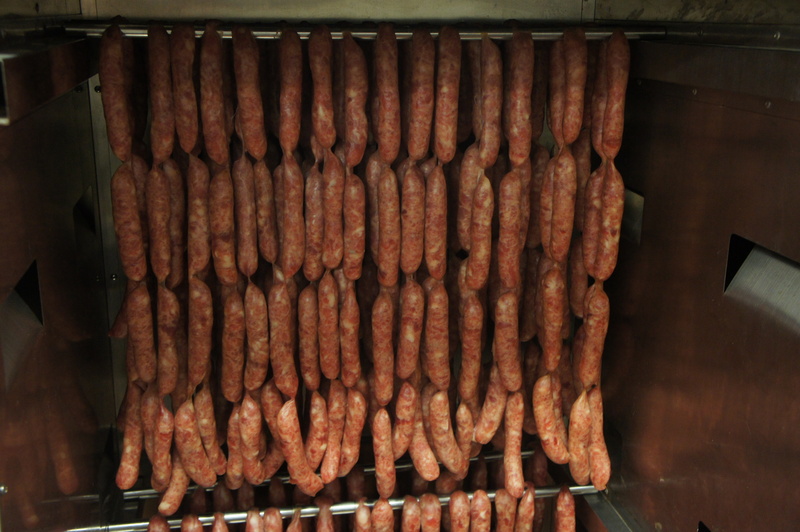 But these sausages taste sweeter and are much leaner. 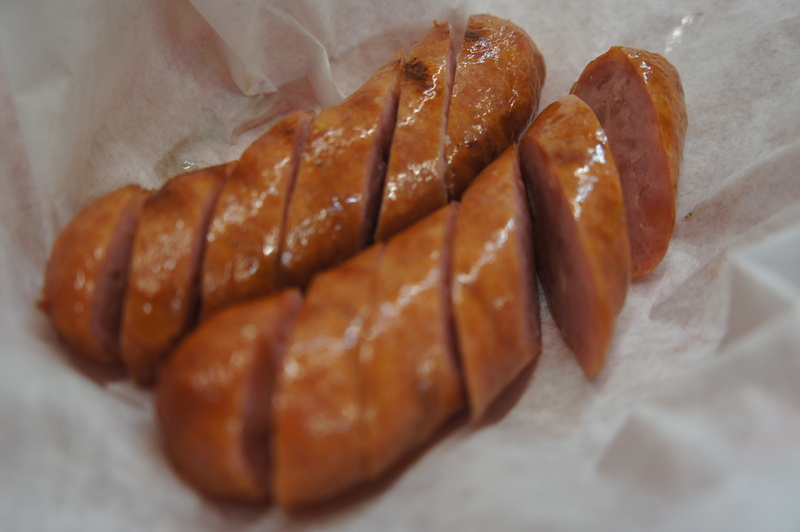 They’re also not hard and dried like the Chinese sausage, but tender and juicy, with almost a hot-dog consistency. They’re perfect steamed, or fried. 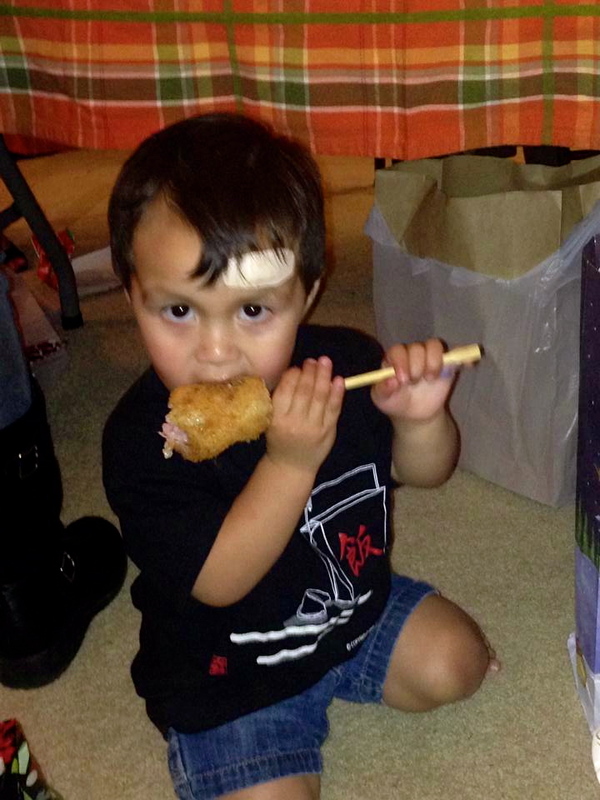 This is how we made them for a holiday party: steamed, cut in half, rolled in naw-mei fan (sticky rice), dipped in eggs, rolled in Panko and deep-fried! You can see it was a party-hit. Two-year-old Cody can attest to that! But not all the offerings at Taiwan Best Mart are meat-based. 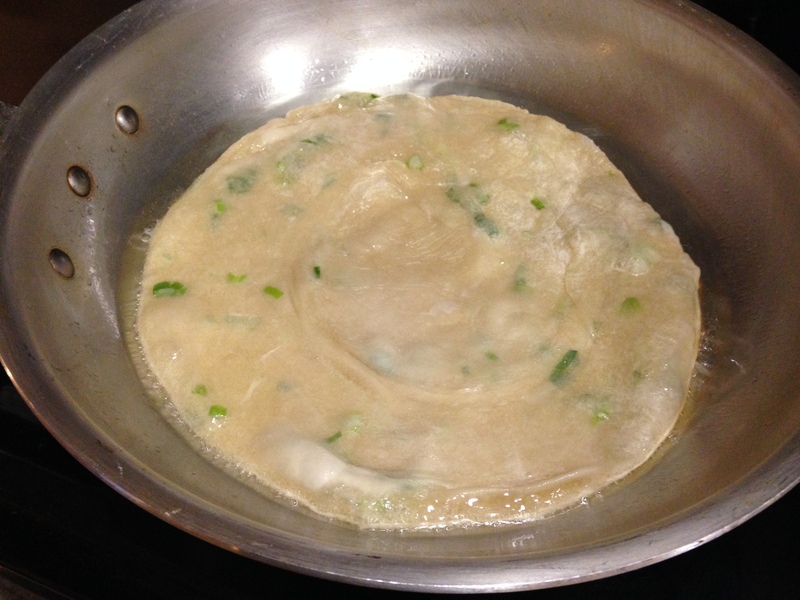 They also make KILLER scallion pancakes. You can find them in the freezer section. 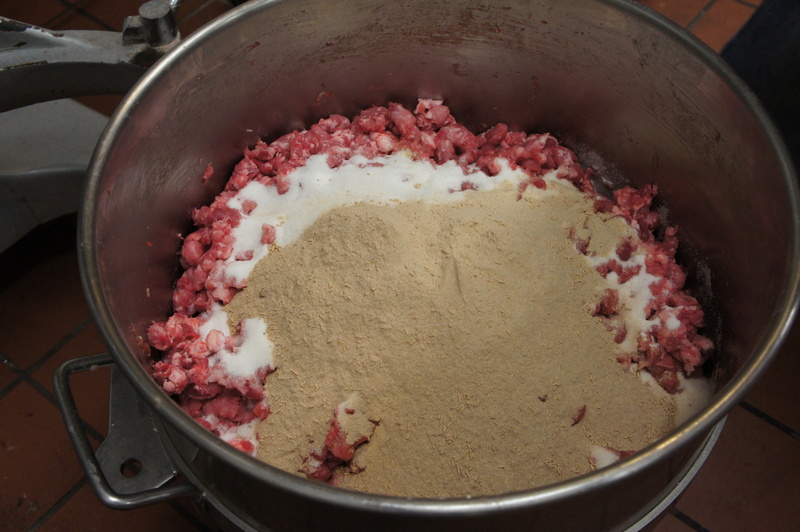 Just fry them in a little bit of oil until they’re light brown on either side. Think of it as an Asian tortilla. It’s a great foundation for a lot of dishes. I made a sauce using Sriracha and soy sauce, then topped it with stir-fryed bok choy. 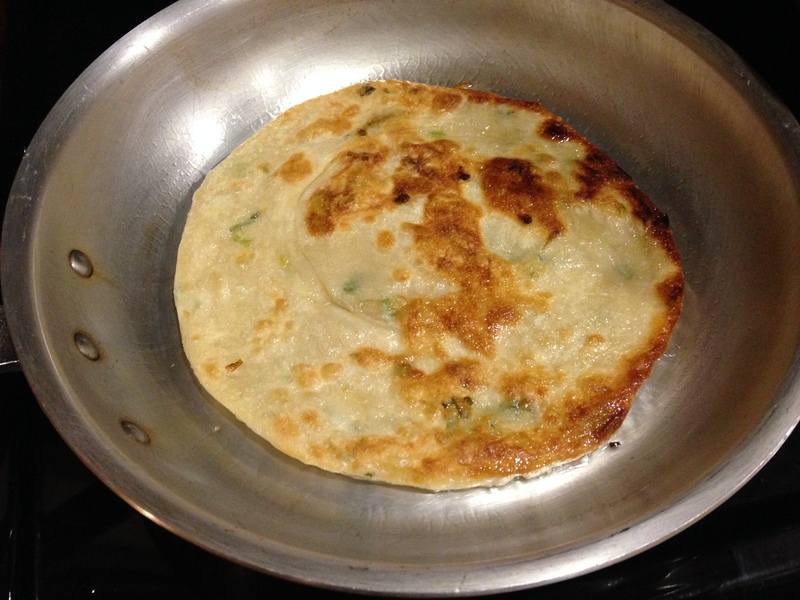 We also used it in place of naan for Indian food, and it was just as good! 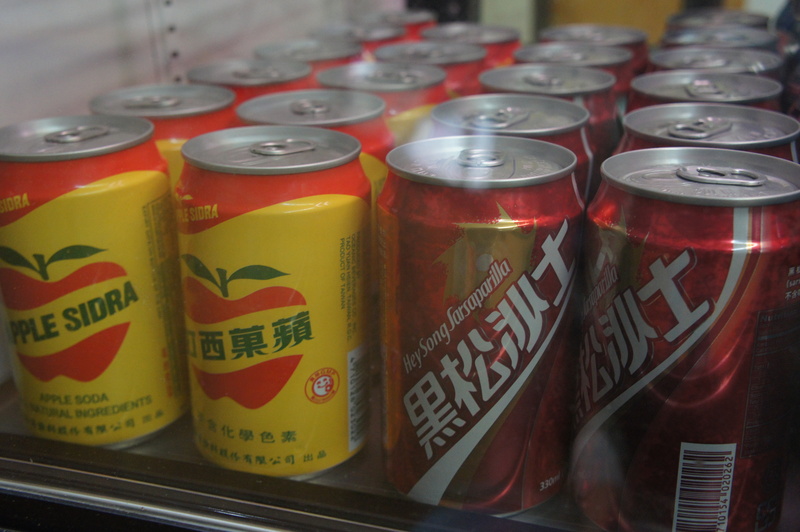 Taiwan Best Mart also offers other uniquely-curated Taiwanese items like these sodas. The red and yellow one is apple-flavored. The dark red one tastes like root beer. So, if you’re looking to try something new — get a taste of Taiwan. There’s something to fit all picky palates. Best of all, you’re supporting a local family-owned business — the kind with the “pull-yourself-up-by-your-own-bootstraps” story. Although the food is foreign, the spirit is all-American. One more thing — I had to ask Christine and Luke about Jeremy Lin, the NBA breakout star of Taiwanese descent. Yeah, they pretty much idolize him. In fact, Luke had never even watched basketball, let alone attended a game. But “Linsanity” got the best of him. 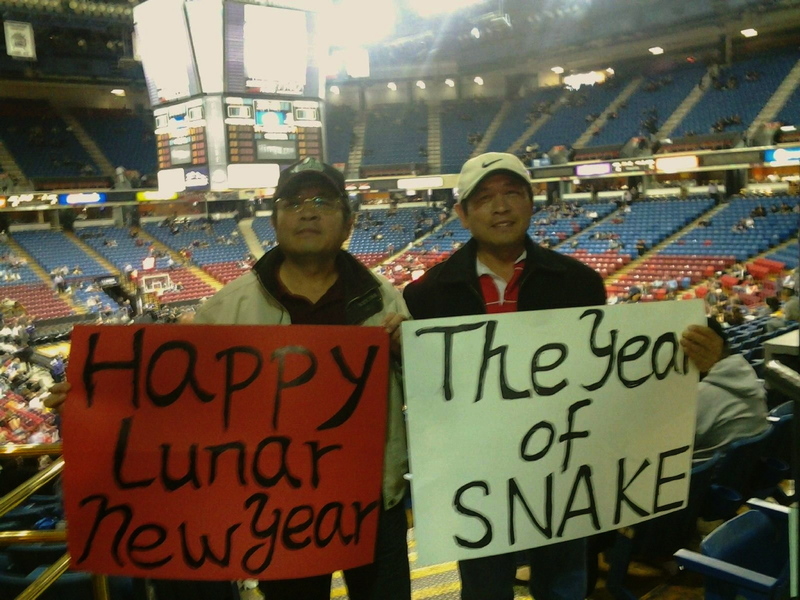 So, on Feb. 10, 2013, which was also Chinese New Year, Luke and his twin brother Louis made a couple of signs and headed to watch the Sacramento Kings take on the Houston Rockets. By the way, the Rockets lost. Go Kings! !